We can supply Fashion 4mm Hand-Knotted Multilayer Round Blue Turquoise And Silver Beads Leather Wrap Bracelet with comparable price. 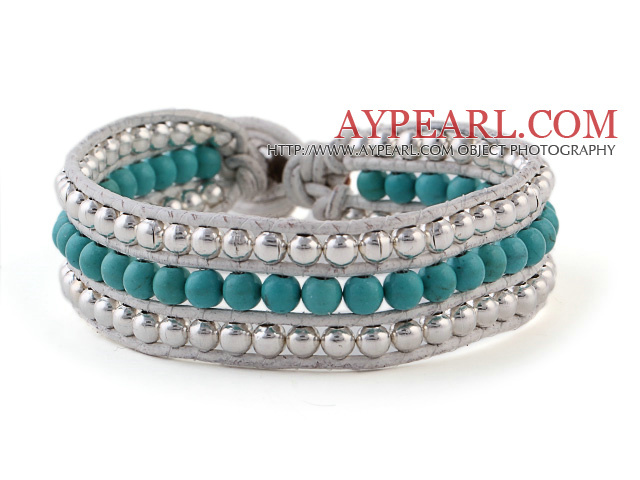 Welcome to wholesale Fashion 4mm Hand-Knotted Multilayer Round Blue Turquoise And Silver Beads Leather Wrap Bracelet from Aypearl.com!!! See other " Hand-Knotted " items.